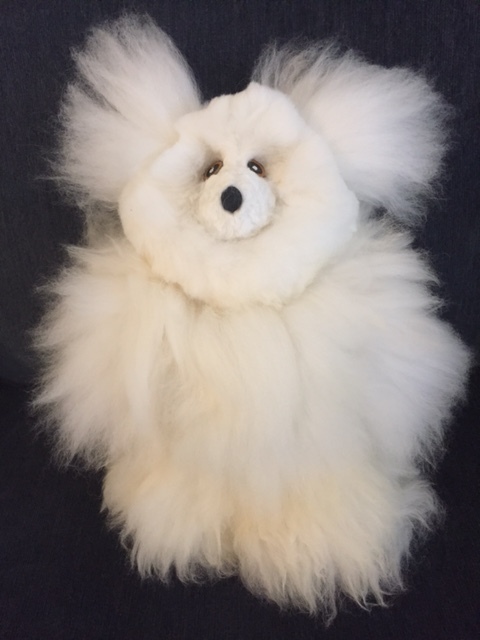 These luxurious teddy bears are handmade in Peru by skilled artists. 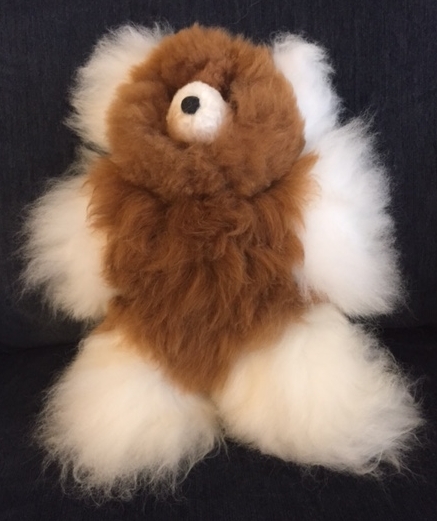 Each teddy bear is made with 100% super fine alpaca fiber and is stuffed with hypoallergenic material. The eyes are sewn on patches, Not buttons that could come off and possibly choke a child. Each teddy bear is unique and ranges in height from 13" to 17". 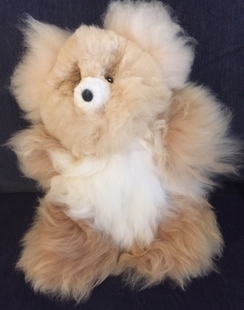 NOTE: Each teddy bear is unique so you can indicate white or brown but the ones that are 'brown' may be brown or beige all over or just have touches of brown. These teddy bears are durable enough to be played with but of course, not too roughly.... after all, you don't want to hurt your teddy. NOTE: Each teddy is made from guilt-free fiber. No animal is ever harmed.